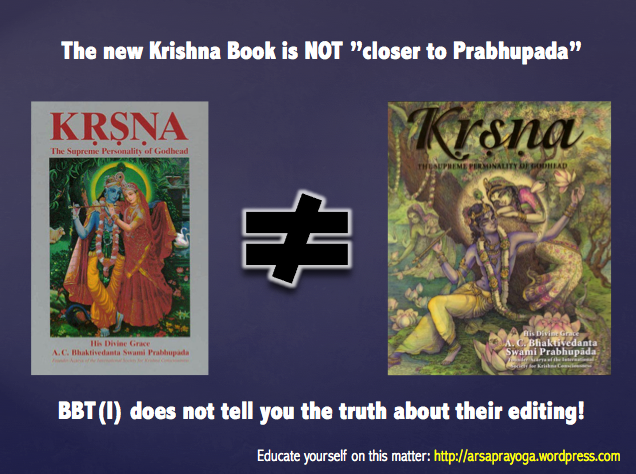 Krishna Book Changes NOT “closer to Prabhupada”! 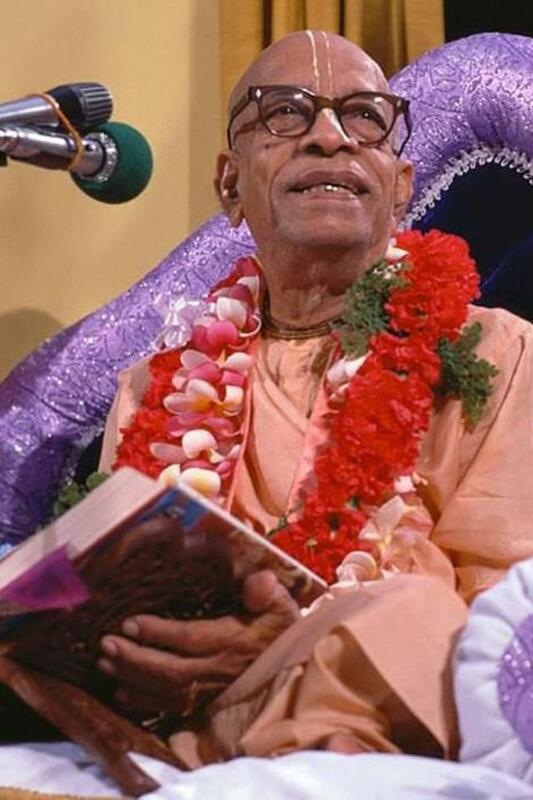 “The following links, one for each of the chapters in Srila Prabhupada’s “Krsna, The Supreme Personality of Godhead“, will take you to a computer generated analysis of the changes which have been made by BBT to the book. 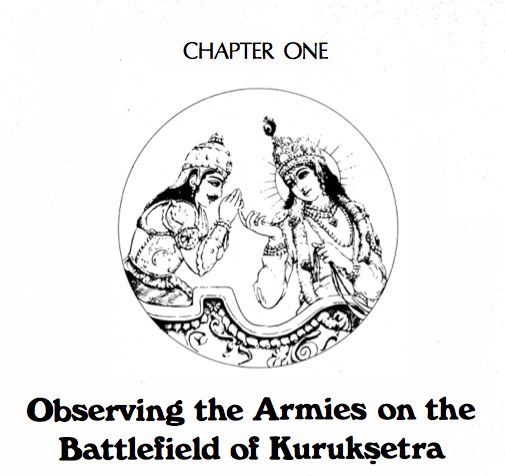 Find the complete list of changes to the Krishna Book here. 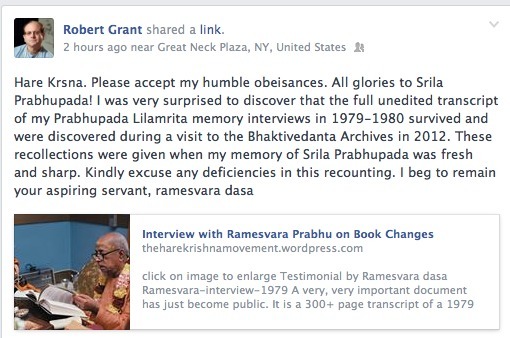 If Ramesvara Prabhu have not already given the above information to the BBT International we hope he will do so soon. How can we change paintings that Prabhupada personally designed? “Dear Respected Prabhus, Pamho, AGTSP!